Christmas is just around the corner, and if the dream of moving into a brand-new property for the festive season gets your tinsel in a tangle, let Jelson Homes at Farmlands make it a stress-free reality. Those in the market for moving are literally spoilt for choice at this popular Markfield-based development. Here, there is a selection of high-specification homes that are ready to move into before Christmas, meaning that buyers could be decking the halls much sooner than they ever thought possible! Those in the market for a three-bedroom home will enjoy seeing the ‘Plover’ mews properties, which benefit from a sophisticated design and boast a superb interior specification, with open-plan ground floor design and spacious bedrooms. Larger three-bedroom home choices, available early in 2017, include the popular Avocet and Tawny detached properties. Those looking for a little financial help to move, this Christmas, will also be delighted to learn that Jelson is offering the government-backed Help to Buy† scheme here. Jackie Woodward, sales manager for Jelson Homes, comments: “Our homes in Markfield present a purchasing opportunity not to be missed and Help to Buy is perfect for first-time buyers and those looking to move further up the property ladder. Each Jelson property is built to traditional standards, with features such as solid internal walls both up and downstairs, roof, wall and floor insulation to the latest standards and high-specification heating systems for lower fuel bills.  Furthermore, energy efficient, double-glazed windows, patio doors, kitchens and often staircases are made in Jelson’s very own workshop by the developer’s craftsmen. 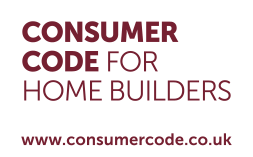 Finally, every home comes with skimmed and emulsioned plasterboard ceilings for a superior finish, and carpets and floor coverings are fitted as standard. All of these features make up what is known as the Jelson Difference – it’s what sets the Leicester-based firm apart from other developers and makes a Jelson property the perfect choice for your next new home.